Richard L. Summers, M.D., is a native of Gulfport, Mississippi, and graduated from the University of Southern Mississippi in mathematics in 1977. He received his medical degree from the University of Mississippi Medical Center in 1981 after which he entered its residency program in internal medicine. Summers then began graduate studies and completed a research fellowship under Drs. Arthur C. Guyton and Thomas G. Coleman in the Department of Physiology and Biophysics. 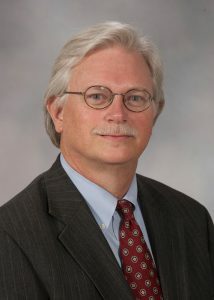 Since 1988, Summers has been a faculty member in various roles, including chairman of the Department of Emergency Medicine. He currently serves as the associate vice chancellor for research and holds joint appointments in the departments of Emergency Medicine and Physiology and Biophysics and is a fellow of the American College of Emergency Physicians. Summers’ career interests include both basic science and clinical investigations in cardiovascular disease and in the study of physiologic adaptations of humans to microgravity during spaceflight. His research focus has been on the use of computer models for hypothesis formulation and systems analysis to answer biomedical questions. He has co-authored over 300 publications and has received research awards from the American Heart Association and the Society for Academic Emergency Medicine. Summers was previously the lead scientist for the NASA Digital Astronaut Project.